St Peters Street is the short link between High Town and St Peters Square. It provides one of the main access routes in and out of the City centre and particularly benefits from location of the Post Office. There is restricted vehicular access to the street and it is in close proximity to major traders of the City centre including Monsoon, Phase Eight, Phones4u, WH Smith, Marks and Spencer and many more. Ground Floor - Double fronted shop with arcade entrance behind security grill and with double doors into the retail area (no steps). Shop width at the doors is some 5.26m and there is a maximum depth of 14.11m. Width at the rear is some 3.67m. The retail area therefore tapers towards the rear where easy rise stairs lead to the upper floors. At the rear of the shop there is a Lobby off which is a small store 1.79 x1.19m and beyond which a store room 2.14 x 2.28m. First Floor - At the head of the stairs from the Ground Floor there is a Rear Area 3.84 x 3.47m off which is a Small Store 1.17 x 1.92m. Landing at the base of the next staircase with a storage cupboard under, Front room 5.35 (max) ( 4.82 min) x 5.10m. Second Floor - At the top of the stairs there is a landing and to the front, straight ahead Room 1 2.40 x 4.27m and to the right Room 2 2.63 x 5.22m. At the rear is Room 3 3.69 x3.52m previously used as a Staff room and having sink unit. Off this there are toilet facilities comprising hand basin and WC. Note: The property as will be appreciated it is of slightly irregular shape and the measurements quoted are to be regarded general averages. Main water and electricity are connected. The property is offered on a new Full Repairing and Insuring Lease for a term of years to be agreed at a commencing rental of £14,000 pa ex. The 2017 Valuation Office Agency List shows the property having a Rateable Value of £16,500. The multiplier for the 2018/19 year is 48.0p in the pound. The rates payable may be subject to transitional adjustment. Prospective tenants should confirm their liability with Herefordshire Council. 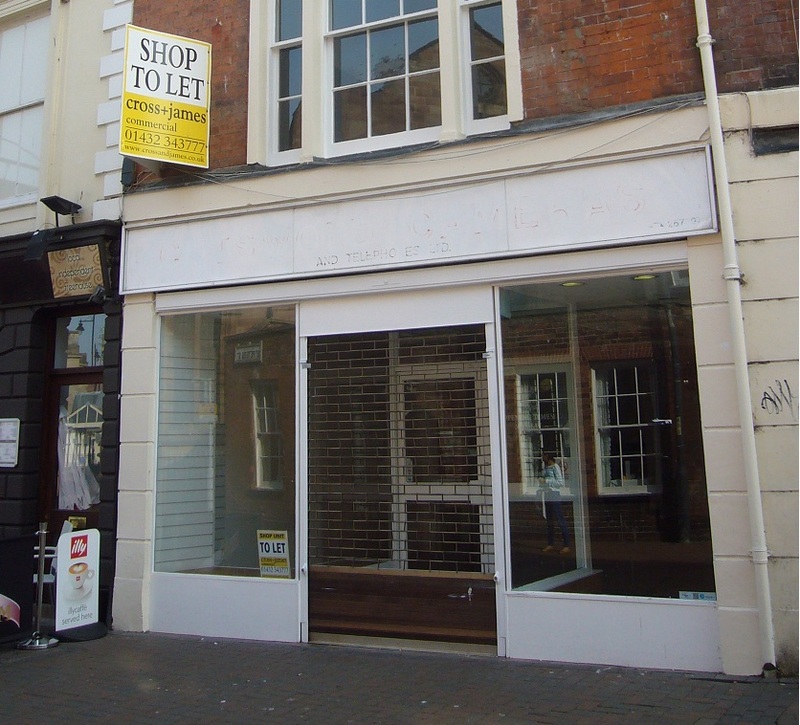 The property is within the Hereford Business Improvement District (www.herefordbid.co.uk) and is subject to a levy of 1.2% on the 2010 List Rateable Value of £30,500.